So the stock markets of recessionary economies rising to record highs; and bond yields of bankrupt nations, municipalities and corporations to record lows; whilst real money plunges against dying fiat currencies like the dollar is just “highly abnormal?” How about impossible in freely-traded markets – which commenced their exodus from the Western world at the turn of the century, permanently disappearing after 2008. In other words, news flow that historically catalyzed violent negative stock market reactions – and positive PM flows – have been turned 180 degrees by market rigging, yielding previously unfathomable headlines like Zero Hedge’s this morning, that “China equities Surge, Japan closes Green on Horrible Economic Data, as Oil Tumbles to Fresh Five-Year Lows.” Then again, the story directly below it reads “We’ve habituated to a Rigged, Fraudulent Market”; and below that, “Even the BIS is Shocked at how Broken Markets have Become” – from which the aforementioned quote was gleaned. Or how about the headline below that, that “NIRP arrives in the U.S., as TBTF Banks tell Customers to Move their Cash or be Charged Fees?” Which, for the layman, means even the largest institutional clients of JP Morgan, Citibank and Bank of America, to name a few, will now be charged for the “privilege” of holding deposits in insolvent institutions that can “bail them in” at any point. In other words, yet another example of those “barbarous relics,” gold and silver, yielding more than bank accounts with NONE of the risk. Then, of course, there’s the next headline – that “oil prices collapse to new cycle lows”; conveniently, aside “BP set to slash hundreds of jobs.” This morning alone, oil is down another 2+%, to levels not seen since 2009 – whilst the “dollar index” has convincingly breached its Fall 2008 highs, exploding against essentially all currencies as financial fear accelerates. In turn, sovereign bond yields are plunging to new record lows, front running the worldwide “QE to Infinity” schemes the terminal stage of all fiat Ponzi schemes bring. To that end, we cannot be more emphatic of the dire ramifications of what was discussed in last week’s Audioblog, “crashing oil and currencies, America’s death knell.” Regarding the former, there aren’t words to describe the political and economic cataclysm that will result from Saudi Arabia declaring war on high-cost energy production, amidst imploding worldwide economic activity. To wit, U.S. shale oil producers are largely financed with high-yield debt enabled by six years of ZIRP monetary policy – to the tune of $210 billion – were massively cash flow negative at $100/bbl. oil, so take a guess how they’re doing today, at $64/bbl! As for the latter, the entire world is scrambling into the supposed “safe haven” status the dollar holds as the world’s de facto “reserve currency,” as history’s largest “liquidity vacuum” gains strength amidst a proliferation of depression-like economic data – such as McDonalds reporting its biggest sales decline in 12 years; Chinese imports imploding; and what’s this, the U.S. “Labor Market Conditions Index” plunging precipitously, just one day after the biggest lie of an NFP employment report in history. Yes, the “lemmings” are racing towards their financial deaths at an historic pace, care of the market manipulation that has “turbo-charged” their natural instinct to “buy high and sell low.” Heck, even the MSM is starting to recognize that “all economic data are lies,” per this morning’s top story at head financial cheerleader Yahoo! Finance. As you can see, they still haven’t fully embraced reality in saying “since the recession.” But rest assured they shortly will – and then some. 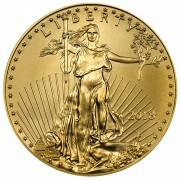 In turn, physical precious metal demand has never been higher – and not just from individuals, but sovereign nations. Trust us, it’s no “coincidence” that the Swiss Gold Referendum – which was only defeated by history’s most blatant, intensely concentrated propaganda and market manipulation scheme – has awakened governmental fears of being caught without their citizens’ gold. Given that the Germans have not been able to repatriate their gold from the Fed, we’re still mystified as to how the Dutch managed to do so – assuming they weren’t lying. Next up, 22% of the Swiss voted to repatriate, followed by an urgent demand from the leader of France’s emerging opposition political party to do the same. And now, this weekend’s news that Belgium is on the verge of demanding its foreign-held gold (assuming it hasn’t been “re-hypothecated) be returned to Brussels. And this is as the mining industry is on the verge of the same type of production paralyzing consolidation the energy industry is about to undergo – as demonstrated by Steve St. Angelo’s latest analysis of the silver industry – depicting the world’s largest producers owning the world’s lowest cost mines with a third quarter breakeven level of nearly $20/oz. And this, after massive cost cuts that leave no other options but mine closures and production paralyzing mergers. And oh yeah, silver prices are a full $3/oz. lower in the fourth quarter than they were in the third – just in time for year-end reserve revisions – which in our view, will be so catastrophic, it’s difficult to believe anyone won’t realize how dire the production outlook has become. 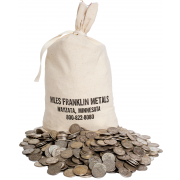 Again, on the “Miles Franklin Silver All-Star Panel Webinar” we hosted in mid-October, it was predicted that at current prices – let alone, if base metals continue to weaken, which they since have – silver production declines of 25%-50% are not out of the realm of possibility over the next 3-5 years. As for gold production, it likely won’t decline that much; but certainly, enough to make a significant impact in a market where demand already exceeds supply. 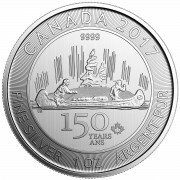 Irrespective of the exact numbers, we all agree that both “peak gold” and “peak silver” are “baked in the cake.” So are the ramifications of extremely challenging exploration conditions and more than a decade of Cartel price suppression – creating the potential possibly imminently for history’s most “perfect” financial storm. Back to today’s principle theme, never in history have so many been so thoroughly brainwashed by propaganda – care of the most sophisticated “weapons of mass financial destruction”; i.e., off-balance sheet derivatives, “dark pools,” high frequency algorithms, “shadow banking,” and the complete abdication of regulatory safeguards, as the world’s “TBTF” banks effectively “partner” with the government. True, the vast majority of the “99%” no longer even participate in stock, bond, or real estate markets having “lost their shirts” in the 2000 and 2008 crashes, as well as the two-decade decline in real employment, wages and net worth. However, for those that still do, the lure of ever-rising stock and bond markets has created history’s largest-ever “buy high” wave; surpassing, in our view, even the 2000 internet-mania top. To wit, both stock and bond valuations, objectively, are trading at all-time highs; and this, amidst the weakest global financial conditions of our lifetime. Central banks have become so brazen in their manipulations, that several – including the Japanese, Israeli, Danish and, yes, the Swiss – have openly admitted to monetizing equities. The rest do so covertly – perhaps, owning as much as half of the world’s equity capitalization. However, given the trend toward ignoring any semblance of conservatism, it shan’t be long before the Fed, ECB, and BOE, among others admit the same; or better yet, initiate formal equity monetization schemes. After all, what could possibly go wrong? In our view, a “vote of confidence” in Abe will be as damning a statement for the Yen’s outlook as the Swiss “no” vote was for the Franc. One by one, the “lemmings for the ages” are impaling themselves on the altar of money printing – whilst their only financial protections, physical gold and silver are slowly but surely removed from the store shelves. Only the when and how of the “big one’s” commencement remains to be seen; and until then, the few that see reality for what it is have a unique opportunity to save themselves. Great article. You frequently mention that miners will have to do year-end reserve revisions that will have catastrophic effects on much of the industry. I’m not ashamed to exhibit my ignorance on this, but can you explain, in a future posting, why this will be the case? I don’t doubt what you’re saying, but I’d like to understand why. 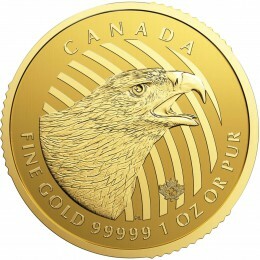 By the way, the Mint released it’s sales report today (very strong) which makes 2014 a new-sales record for Silver Eagles. It just means that each year, miners must revisit their “reserves” and “resources” – using not only year-end prices, but other factors that may have changed over the year. Heck, I think Kinross wrote off 25% of its reserves last year, despite NO CHANGE in their price estimate. At current prices – particularly silver, which is WAY, WAY below the cost of production – it could get REAL ugly. This could trigger debt covenant issues, cut off financing, and many other company-killing events. Plus, with base metal prices plunging as well (where two-thirds of silver is mined, as by-product), it could be a real double whammy. As we concluded in October’s “Miles Franklin Silver All-Star Panel Webinar,” we wouldn’t be surprised to see global silver production plunge 25%-50% in the coming 3-5 years. And yes, a new Silver Eagle annual record was set today. Andy: I would imagine that the purposeful decimation of PM prices and the obvious effect on the profitability of the miners will lead to significant M&A activity, financed of course by members of the Rothschild cabal with the obvious end game of controlling/owning PM resources on a global basis. The problem for the banksters is that there may not be enough time to accomplish this takeover before PM prices skyrocket. I don’t believe that for a second. And either way, pure conspiracy theory speculation, based on nothing. In my view, the goal all along has been simply to destroy sentiment in PMs, to prevent a mania of buying as long as possible. Very short-sighted, but it worked for a few years. Now, the entire mining industry is on the verge of collapse, and production will likely never recover. As for “M&A,” once PMs re-emerge as MONEY, the only “buyers” will be governments, when they nationalize gold mines. Of course the notion of the Rothschilds being involved in anything is a conspiracy theory. not rise until they allow it. You and everyone else work for them. to mention their name myself. We’ll see. This is my last comment on this. Pure conspiracy theory. Whether true or not, we’ll never know – and either way, no impact on what I do, or my life. I just focus on economics, not speculation about mysterious boogeymen and what they may be doing. I am too busy to deal with this topic any longer.